The Wirral village of Barnston is now part of Merseyside, but from the time of Domesday (1066) till the Local Government reorganisation of 1974 it was part of the historical County of Cheshire. I grew up in Fox & Hounds and have lived in Barnston nearly all my life. 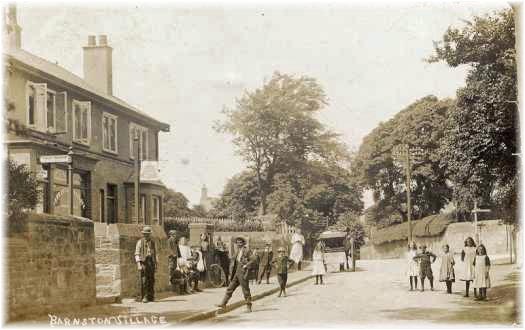 This website is the result of years of collecting old photos, postcards and bits of historical information about the village. I hope in time to add further links to the historical information on the left with articles on transport, farming the Black Death, World Wars etc. I hope you will find something of interest whether you live in Barnston now, or have past connections with the village. The website is sponsored by Barnston Conservation Society, to find out more please click the link above.